Customer Picture Number 477 Selected. Cool Car decals applied. Matte black vinyl on charcoal paint. To see more of Ric's Toyota 4 Runner press back and scroll down. We have some fantastic images of how his ride came out, this is a close up. 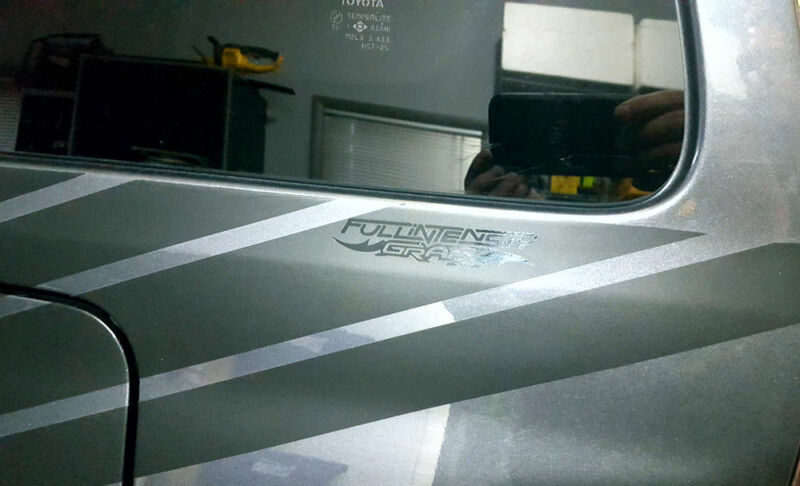 And thanks for sporting a Full Intensity Grafx Decal, Ric!